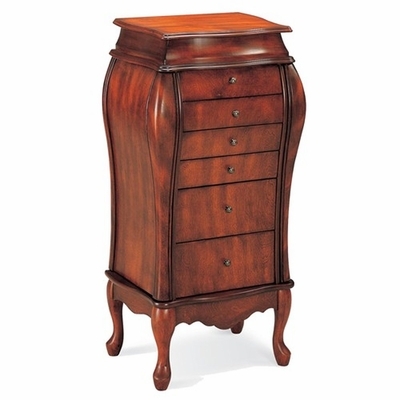 Bring bold style to your bedroom with the curvaceous bombe style top of this jewelry armoire. 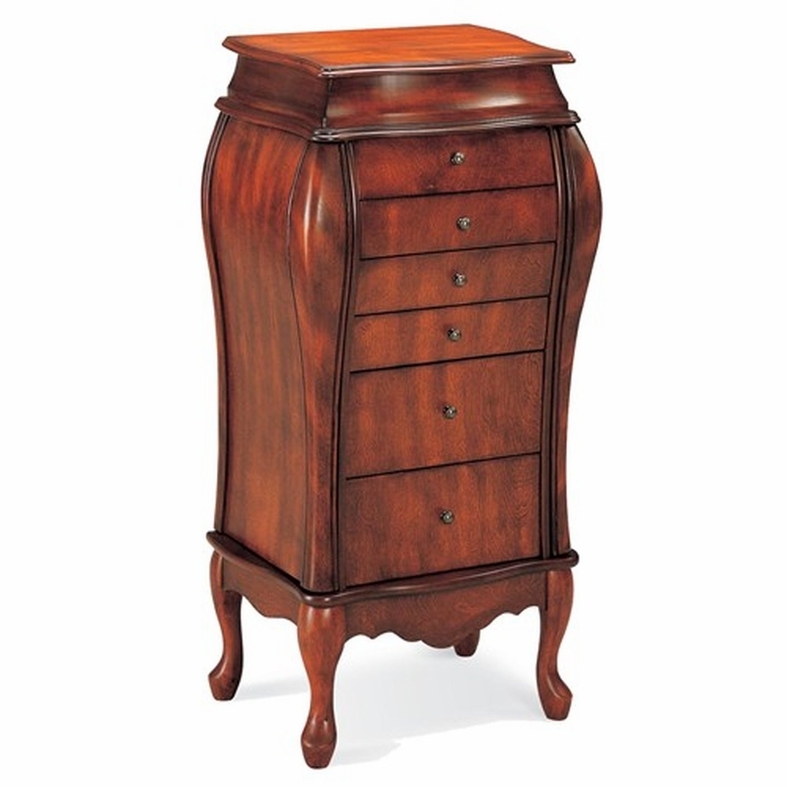 A carved apron, curved cabriole legs and dark antique look knobs combine for an elegant interpretation of French and traditional styles of decor. Six storage drawers, two side doors and a mirrored lid that lifts up include felt lining to protect your treasured heirlooms and more delicate items. 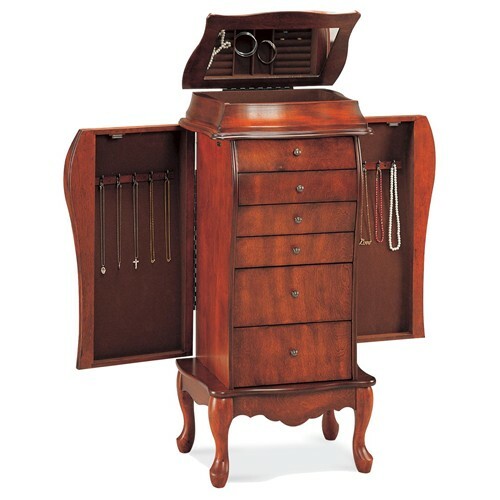 Necklaces, chains and lockets hang untangled on the hooks provided by two side doors, and a mirrored lid opens to reveal special compartments for rings, earrings and more.